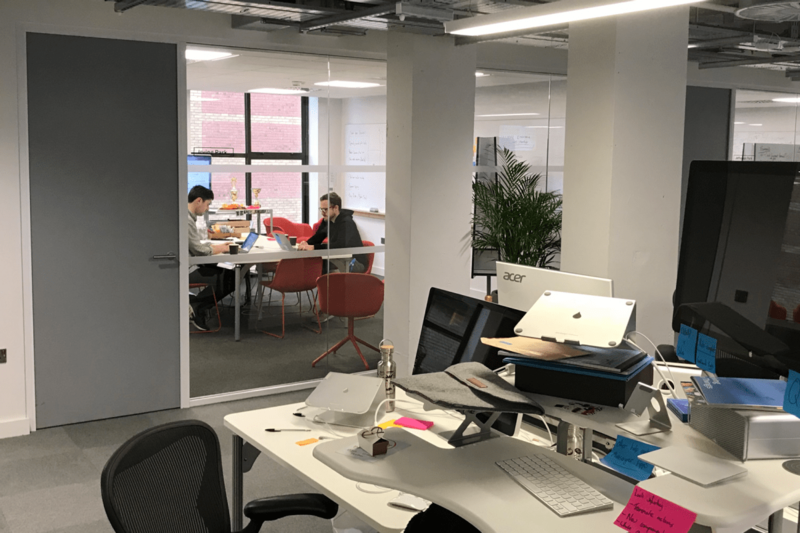 A couple of weeks ago myself and some of my team sat down to talk about how we could attract some of the best people around to join our Product team. 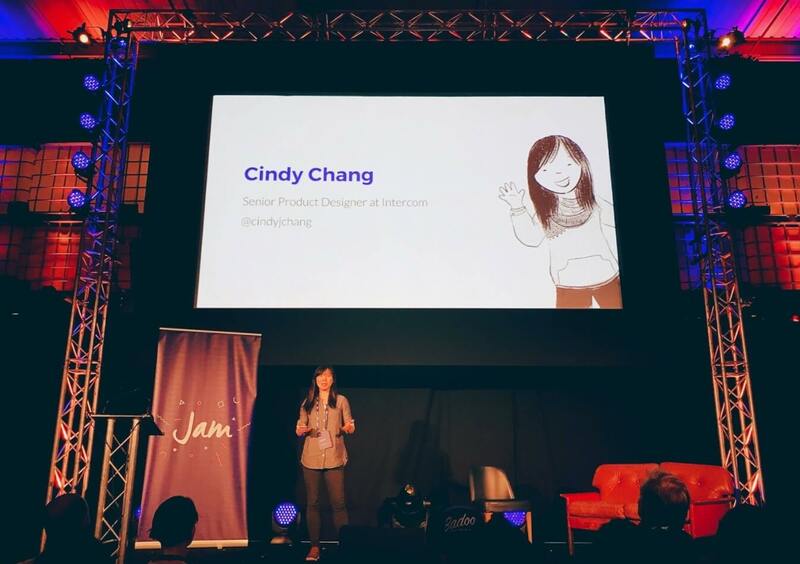 We felt that Intercom was truly a special opportunity, but many people didn’t know that. As one of our leaders, and someone who joined very early and watched us grow and change, I do believe that Intercom is different, that Intercom is special. We have a million imperfections, we’re growing fast, we’re still figuring a lot of stuff out, and what worked yesterday doesn’t work today. Yet, because of our consistently high growth rate over the last few years and our success so far, I personally believe that Intercom is a once in a lifetime career opportunity. So we asked our team what makes Intercom different to where they’ve worked before. 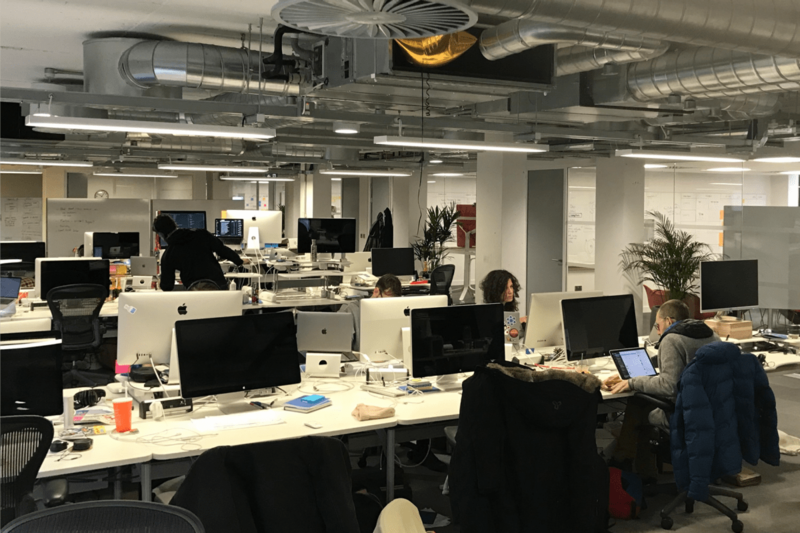 People in our team have come from a wide range of other companies, from the big companies like Google and Facebook to other growing startups, and lots in between. We asked everyone whether it was indeed special, and if so, what made it so. What came back was fascinating. So we decided to get out there and talk about what it is like here. What follows are our teams’ answers to the question of what makes Intercom different. Perhaps these answers will inspire you to apply (after all, a conversation about attracting great people to work here was the genesis of this), or at a minimum I hope these answers will help you change how things work in your company. You’ll never have to explain the importance of your discipline, nor explain what it is you do, to anyone in the leadership team. 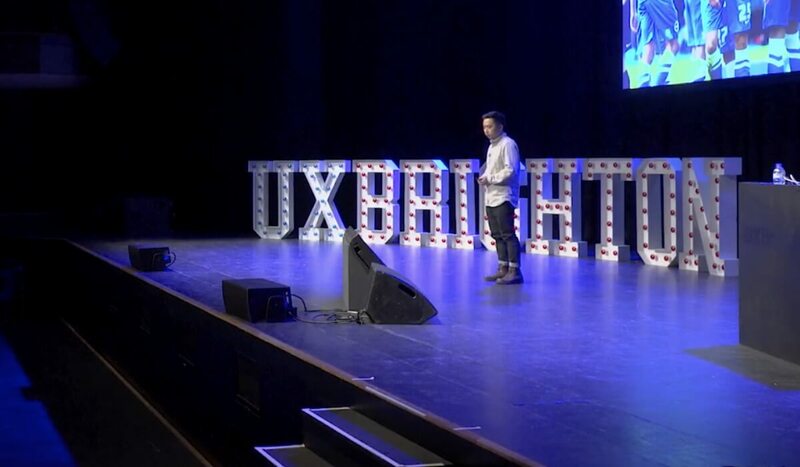 Two of our co-founders (now our CEO and CSO) were Designers and ran a UX Consultancy before Intercom. Our COO ran huge PM and Design orgs before joining Intercom. Our VP Product worked as a PM, a Designer and a Researcher in his career. We already have a strong and well respected culture of product and design. Because we already understand you, we’ll really support you. We’ll help you further your craft and be even better. Leadership doesn’t understand what it is you do. You spend much of your time explaining yourself rather than making decisions about the work you do. You’re vying for a seat at the table, or talking about seats at tables. Career progression is much harder. Product quality is not valued. You have the environment you need to do your best work. Every single product team has a dedicated large room right beside where they sit. No one else can book them. They are big, great for workshops, for putting design work up on the walls. They have lots of whiteboards, and a Jamboard for co-designing with other offices. As a result, the physical space allows for both deep focus and in-person collaboration. 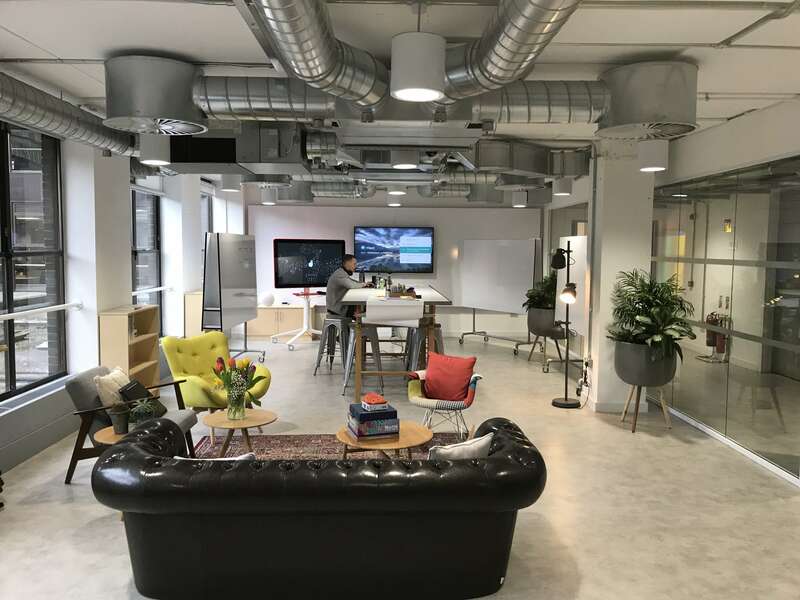 As well as dedicated team rooms, we also have a dedicated Design Studio for workshops, design reviews and generally working in a creative collaborative space. You have to scramble around looking for space and get kicked out of rooms. You have to do research, product, and design work in spaces that were never designed for that. It’s impossible to focus in a noisy, mixed use open plan office environment. You’ll ship product to our customers within days or weeks of joining because that’s our obsession. You’ll get direct feedback on your work from our customers. We don’t have giant year long projects that may or may not ship. We’ve never in our history had to cancel a big (or even small) project – that’s not how we work. We walk the talk – you can see all our product changes here. You’ll go months and sometimes years without shipping. You’ll never learn if your work was good because customers never experienced it. This lack of feedback makes it much harder to get better at your job. Your project might get cancelled at short notice for reasons that you may never understand. We have just enough process so that you don’t waste time talking about the process. We don’t completely subscribe to any one religious process like Lean or Scrum or Kanban or whatever is in fashion. We have our own simple process and we evolve and adapt it all the time as we learn what is working. We welcome input from everyone, we look for improvements, and we make changes fast. We’ve written publicly about it time and again, and again. We’ve carefully designed our process so that you don’t spend wasted time talking about the process. This frees you up to talk about your work. You’ll have to follow a process laid out in some big bestselling book, no matter if you think it is fully applicable to your company, project, role or context. You have little influence in changing the process. Process overly favors either Engineering or Design to the detriment of the other. Each bank of desks is a product team, with our PMs, Designers, Engineers, Researchers, Analysts and more sitting together. To the right of each bank you can see the dedicated team rooms. Some of the team working in their dedicated room. This is our Design Studio. A dedicated space for product and design workshops, or people to work in small groups, or even alone. We have a simple, clear, stable mission. Our mission, to make internet business personal, has existed from the start, and has stayed stable and consistent. We live our mission, from how we work and how we communicate to the product we build. Our mission is actionable, it helps us make decisions every single day. Our leadership continually talks about our mission, and we have supporting material so everyone can understand it. Your mission might not exist at all, or it might be so abstract as not being understandable or actionable. Your mission might exist on your marketing site, or in some brand guidebook, but nowhere else. Leadership don’t talk about the mission. Colleagues don’t talk about the mission. The mission doesn’t help you make decisions. The mission is misaligned with your personal values, or isn’t in the best interests of all customers. You’ll work on something real, positive and meaningful. You’ll be solving real problems for real businesses. You’ll be helping tens of thousands of small businesses get more customers and retain those customers, helping them stay in business, pay their staff, and continue to fulfill their hopes and dreams. You’ll be helping hundreds of millions of our customers’ customers by connecting them to the businesses they care about, and getting fast personal answers to their questions. We’re still small enough that you’ll get to own a large part of Intercom and directly influence the success of the product and company. You’ll get to own a tiny part of a tiny thing. You’re a small fish in a big pond or your company is too small to truly impact huge numbers of people. It’s questionable whether the work your company is doing is improving society. You’ll work on something with many exciting themes. Your company doesn’t understand many of the huge societal shifts that technology is driving. Even if they do none of the above, despite best intention, they aren’t set up to do anything about it and you’re not empowered to do your best work. You get to work on a product that our customers truly love. That they’re passionate about. That they care about. If you don’t believe us, believe them! There is a lack of passion from your customers towards your company or product. They are ambivalent. You don’t really hear from them. It’s rare that you hear them telling you that they love you. You’ll get to collaborate with our Support and Sales teams, to get feedback on your work, even working for a day here and there in their teams. This will give you very strong feedback loops on your work, learning how it does or does not provide value from our customers’ point of view. You won’t be disconnected from customers as you’ll be in our product talking to them directly. You don’t even know where the Sales team sit, nevermind who they are. You’re never encouraged to go talk to them. Your Support team is in a different building, or a different country. Despite them knowing more about your existing customers than anyone else in the company, no one ever talks to them. You’ll get to work with a world class Marketing team who deeply understands Product. This team will help you understand that building Product is only half the battle. You’ll learn about how to position a Product in a market, how to talk about it, how to make it attractive and sell it. These are invaluable skills for anyone working in a Product team. You never really understand what Marketing do nor why it is really important. You don’t collaborate with people in the Marketing org. You’ll sit co-located with your R&D team, which is cross-disciplinary, talking daily face to face with Engineers, PMs, Designers, Researchers, and Analysts. You’ll build deep relationships with these people, and friendships with many. Your team isn’t beside you. As a result you often misunderstand each other. Communication technology gets in the way of building strong relationships and at times it erodes trust. You suffer from being out of sight, out of mind. You sometimes wake up to learn that other team members in another part of the world have made decisions that impact your work and you don’t understand why. We deeply believe in the Growth Mindset, and so spend a lot of time on our peoples’ development. We want people to do the best work of their careers at Intercom. We believe that if we help them to do that, we will win too. There is huge scope to learn and grow no matter how experienced you are. Everyone in the Product team has career conversations that help us help them grow in new ways through mentoring, training, attending courses and conferences. Everyone gets consistent high quality actionable performance reviews, and regular follow ups to help them learn and improve. We have career tracks with clear job descriptions and expectations for everyone, all the way from intern through Senior to Director and VP. We have very senior Principal roles for people who don’t want to move into people management as their career progresses. You don’t have a career plan, and your manager isn’t thinking proactively about how to help you achieve your goals and be the best version of yourself. Performance reviews happen inconsistently, if at all, and the content is a mystery to you. Things that are brought up in a performance review are a surprise to you. We’ll encourage you to write and speak publicly and give you more support to do so than you thought imaginable. We’ll not only give you time to do it, but we’ll encourage it, helping you grow your external reputation. As a case in point many of the authors on this very blog had never written publicly prior to Intercom. Many of our conference speakers have done so for the first time working here. We have an in house content team that will help you write. We bring in speaking coaches to help you rehearse. Because of this, at Intercom your external career profile will rise massively (assuming you want that). Your company doesn’t give you time to write or speak externally. They don’t want you to share what you’ve learned externally. For you to do anything externally it needs to pass through five levels of bureaucracy before you get permission to publish or speak. They worry about you growing your external reputation as you will receive more external recruiters offering you new roles. We care about our culture deeply. We’re very deliberate about it. We think about it all the time. We talk about all the time. 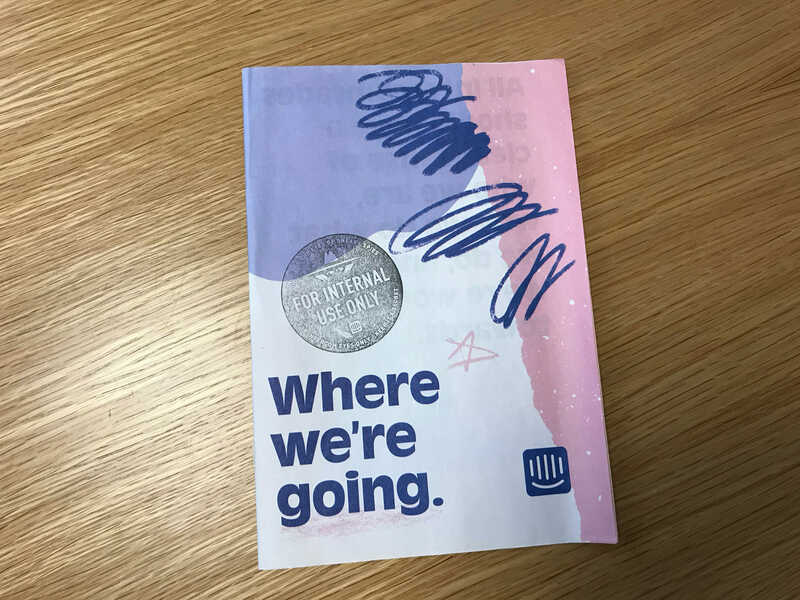 We even have a lovely little book for everyone. 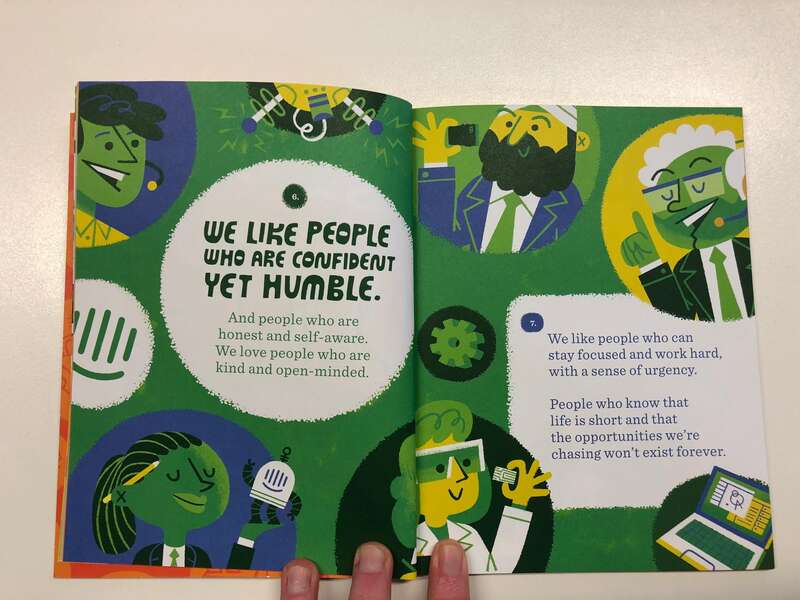 Our culture celebrates people who are confident yet humble, honest and self aware, kind and open-minded. Everyone, regardless of role or discipline, is empowered to push back and question “why” if they’re not sure what we’re doing is valuable. Our leadership team will always listen. Culture isn’t something that leadership actively works on. They talk the talk but don’t walk the walk. Leadership are dogmatic, and don’t appreciate that everyone has something to contribute. They are disconnected from what is happening on the ground and make little effort to close the gap. If you’ve read this far, thank you, it’s a long one! Hopefully this has encouraged you to apply, or if not, helped you think about improving where you currently work. If any of the things in this post reinforced an idea you may have that you think you might not get through our interview process, please read this next. One last thing. In having these discussions with the team here, there was one really remarkable observation I heard over and over. Many people here first found out about us from our blog. They were inspired by some of our posts about how we work, but in joining weren’t sure if the reality matched the blog. The big observation for them was that the reality did indeed match, and that was a rare thing.